First time applicants for Children’s After School Club starting on April 1st 2019 are accepted until February 8. Application will soon be accepted for the Children’s Club for fiscal year 2019, which is geared towards families whose children are home alone after school because the parents are unable to be there due to work or other reasons. > Use is free of charge from 8:45-18:00. 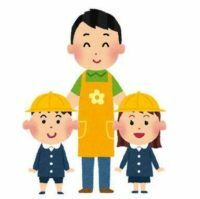 > The fees for using the children’s club service from 8:00-8:45 or from 18:00-19:00 is 2,000 yen per month. > Those just using the children’s club for long-term holiday periods over summer or winter break or the like will be charged 2,000 yen per period. > ※accident insurance premiums will also be charged yearly at 1,500 yen per year. > Application forms will be made available and should be turned in at the Children’s and Mini Children’s Halls.